Here is how Robert Quinn, a Galway native who spent his upbringing shearing sheep, found himself being cited as one of the top hair stylists in the United States. The Tuam native left Ireland in 1984 with his childhood sweetheart Margaret, in the depths of a crippling recession that saw 70 percent of young talent emigrate from the island. Some thirty years later, Quinn stood at a podium at the Mandalay Bay Resort in Las Vegas to collect an award from E! host Giuliana Rancic for his business, Zolton’s Salon and Spa. 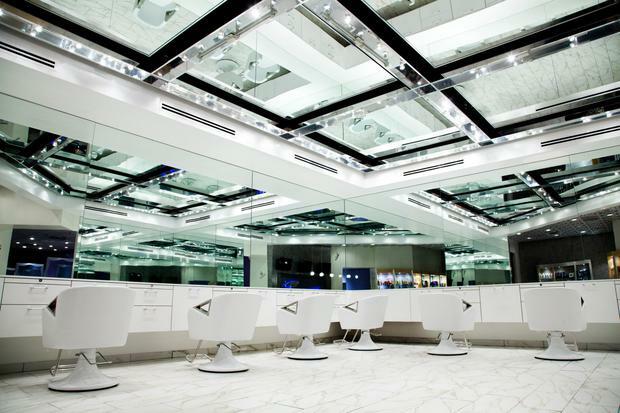 Quinn (56) and Margaret had won the prize for the Salon Design of the Year 2014 at the North American Hairstyling Awards, beating off competition from over 1,000 other entries in the category. Robert and Margaret grew up next door to one another in Ireland and have been together since 1975. The accolade was just another highlight in an exciting career for the Irish expat. “I left Ireland for adventure. Those were difficult times, but I always had a job. I really wanted to see the rest of the world,” Quinn told Independent Style. 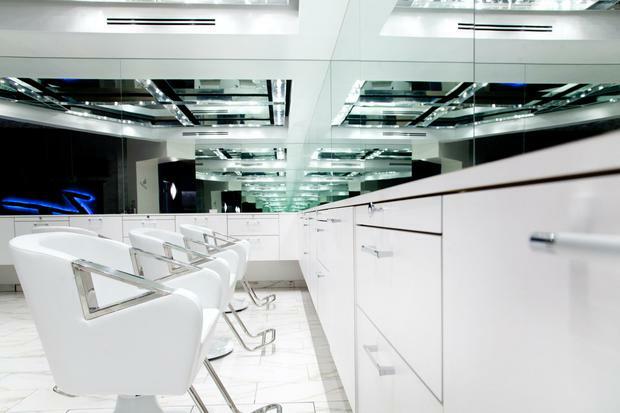 After training at the world-renowned Vidal Sassoon Academy in London, Quinn opened his first salon, Crew International, in Boston. He quickly attracted attention from local celebrities and tv personalities which helped to grow his profile as a ‘stylist to the stars’. It wasn’t long before Vogue magazine, the purveyors of style and trends, sat up and took notice. “Having my work published in Vogue when I first got here is one of my proudest achievements. Getting approval from my peers is always good,” he added. Once he was given the nod by the influential publication, he was inundated for work with even the potential First Lady, Kitty Dukakis, clambering to sit in his chair. All Quinn was worried about, however, was his illegal status, as he was unable to obtain a visa at the time. In the 1990s, Robert, Margaret and their two young sons Taylor (now 23) and Weston (now 18) upped sticks and moved to Arizona. 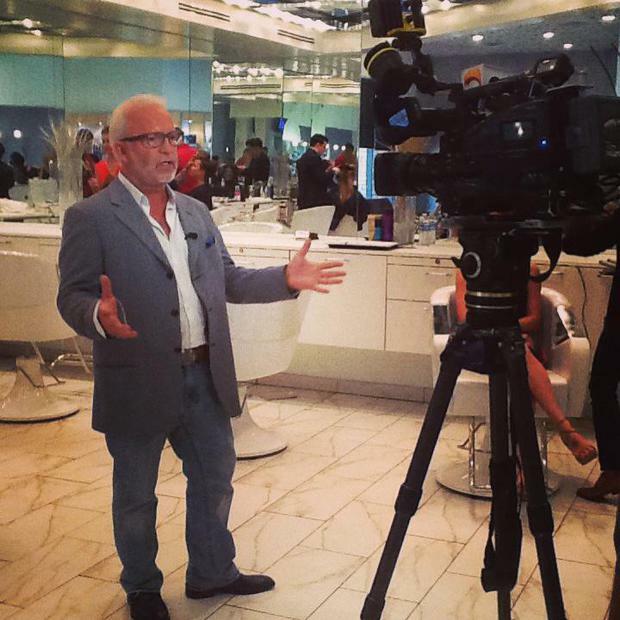 Again, Quinn established himself as the region’s most in-demand coiffeur, landing television segments and gaining successive nominations for America’s ‘Hair Colorist of the Year’. In 2002, the Quinns opened the doors to their state of the art salon, Zolton. “My wife and I did the design work at the kitchen table. We are in this business 40 years we know what we want and what works. Every city we visit we look around at salons looking for ideas, so it is an honor when magazines say that we are among the top salons of the world,” Quinn said. “There’s lots more up our sleeve, we have just finished Zoltons 2 and it blows every thing else out of the water. I also just had my second call back for a hair reality show that would air on cable if they can get it together fingers crossed,” he reveals. Not surprising, Quinn is a man with more than a few tales up his sleeve - and he says that he might one day put pen to paper and write a book. Annabel Jones It started with Cate Blanchett at the Baftas. Then came Emilia Clarke, Emma Stone, and Charlize Theron. Can men make the cut?